A few days late but here we go! 1. Pre-part my hair in about one inch sections. This helps me save time when applying the relaxer to my hair, all of this is done using my hands, I do not use a comb when relaxing my hair. 2. Apply Avlon Affirm Fiberguard Preservo Strengthening Serum to my whole head. I use a spray bottle to do this as this product is very runny. 3. Apply Castor oil to my relaxed ends. 4. Base my scalp and hairline with petroleum jelly; I also coated my relaxed ends again with the petroleum jelly, you can’t be too careful. 5. I then set my timer for 15 minutes and applied the relaxer using my hands. I always leave my hairline for last only applying relaxer to that area when I am about to smooth the second time. 6. For my mid-relaxer protein step I used a mix of Avlon Affirm Fiberguard Sustenance Fortifying Treatment and Affirm 5 in 1 Reconstructor for 4 minutes. 7. To neutralise my hair I used Affirm Fiberguard Normalizing Shampoo. I applied the neutralising shampoo for my first wash followed by Redken Hair Cleansing Cream then I neutralised twice again leaving the shampoo in for about 5 minutes each time. 8. Deep conditioned with Keracare Humecto Cream Conditioner. 10. I used Chi Keratin Mist and Matrix Biolage Hydrasource Daily Leave-in Tonic as my leave-ins. 11. To blow-dry my hair I used a mix of Chi Silk Infusion and Redken Smooth Down Heat Glide as my heat protectant. I used the large comb attachment on my Red by Kiss Handle-Less Ceramic Tourmaline Dryer which I purchased in January. By this time it was well after 2am so I wrapped my hair in a loose bun and headed to bed. This is what it looked like when I got up. Later that night I flat ironed using my Hana 1.5 inch Titanium Flat Iron and I had my friend take off around 3 inches. It would have been more if I had my way but after almost ½ an hour of disagreeing on how much to cut I gave in, I just wanted to cut my ends and get it over with. My plan is to do my next touch-up at 12 weeks so I can cut some more. How was your last relaxer touch-up? 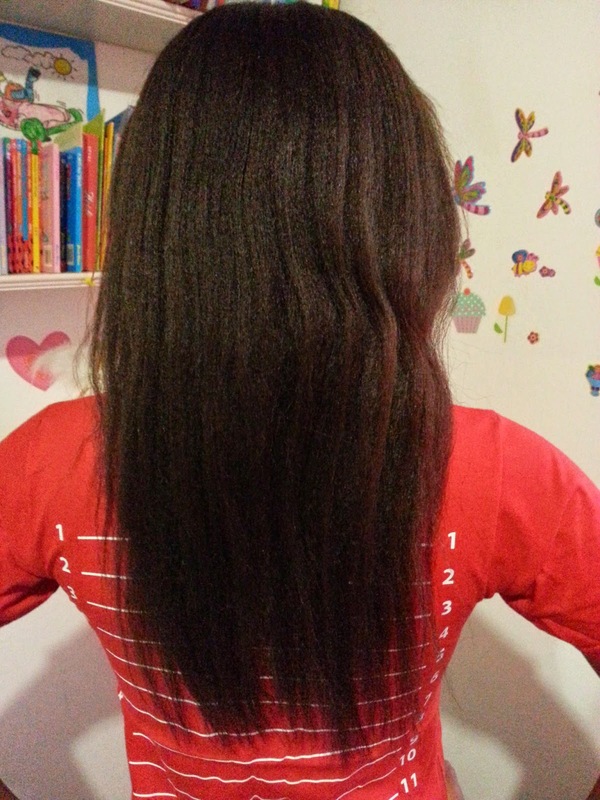 Your hair is so beautiful and thick, even after the cut its still long :-) how do you gain & maintain the thickness? Thanks Becca, my hair is not as thick as I want it but it helps that my hair is in a bun 99% of the time. WOW, seriously Candice that setback cut from your stylist last year has turned your hair around beautifully. Your hair is growing like weeds. Whats your length right now? WL by year end? Amazing results Wow. Your hair has grown so much. It's so healthy and shiny. Bee-yoo-tiful hair! Your ends are lush too. Why do you want to take off more inches? I like my ends full, I don't like seeing the colour of my top through my ends. Great results it looks like you are BSL and approaching MBL/waist length. 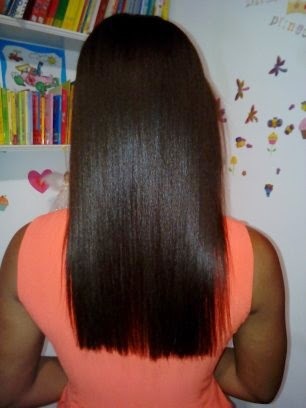 Do you trim your hair after every relaxer or once a year? Thanks for stopping by Tracey, I try to flat iron and trim with every touch up. Gorgeous!!!! I wish someone sold Affirm here in Namibia, I haven't seen anyone in the blogosphere have a bad result with it so far. You've also now inspired me to just get my touch up done, cut off all the damage and then focus on not letting the setback get to me. BTW, I nominated you for a Liebster Award. Enjoy! 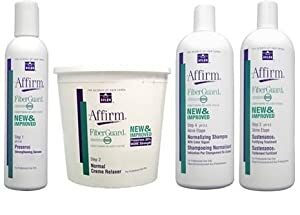 I order my Affirm Fiberguard online, I haven't seen this particular one in my country yet. We can't let setbacks keep us from reaching our goals, at times like these I always remind myself that there are ladies out there like Ms Kibibi doing this for 10 plus years and not giving up despite all the setbacks. Girl if they can do it so can we! its really amazing product in few days very fast growing hairs. how i can get this amazing product? thanks for share with us. I don't believe that products grow your hair but they do aid in keeping your hair healthy, no product can grow your hair in a few days, if that was so a lot of ladies would be walking around with hair longer than the train of some wedding dress. I cannot believe I missed that post! I have been thinking about relaxing my hair because I don't think my hair is growing fast enough. Anyway, your hair looks gorgeous, darling! Thanks Nerline, my ends are still not where I want it to be but I'll get there. You know I'll support you relaxed or natural, do you hun! Wow.. . Your hair is beautiful Candice... Haven't been on your blog before but I'm hooked now! Those ends are what I need in my life! Welcome and thanks for stopping by Juditherese!